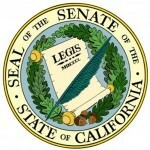 With passionate pleas from both support and opposition of Senators Steinberg and Dutton’s ADA bill, the Senate Judiciary Committee moved SB 1186 forward with guarded concern that both senators commit to work to clarify the bill. The rewrite of the bill withdrew the language of “cure” for the businesses hit with demand letters from attorneys and plaintiffs looking to score easy money through bullying tactics. It does provide a 30 day notice of alleged accessibility violation that may be a basis for a damages claim prior to filing any claim in state or federal court; but, prohibits a demand for money or receiving any payment settlement. It also provides that commercial property owners notify tenants if the leasing property has been inspected by a certified access specialist. Both Senators agreed that there is considerable work to be done to flesh out the details and identify the specific needed to protect both the business community and disabled community. But, allowing the bill the opportunity to move beyond the Judiciary Committee opens the door for input from all concerned. The efforts of the Redlands Chamber of Commerce, Government Review Committee helped to heighten the awareness of the seriousness of the issue. Meeting with Senator Feinstein (D) was a critical component in that effort that caused a significant letter to be sent to Senator Steinberg (D) resulting in his reaching out to Senator Bob Dutton (R) who graciously stepped across the aisle to join forces to address this by-partisan issue. The Chamber will continue to work with both senators and monitor the progress of the bill to insure that the advancement made recently does not end here but continues to push forward.